The adventures of a young aspiring Australian genealogist sharing her journey on social media. My last blog post was back in May? Time flies when you work full time. I received Aunt Elizabeth's DNA results back in July and have been having a fun time analysing them. This is similar to what I was expecting, although the Norway surprised me. Interesting how we both have 5% for Sweden, however she has more Ireland and Scotland than me, and I have more England, Wales & Northwestern Europe. 1 First Cousin, 4 Second Cousins, 12 Third Cousins, and a number of 4th Cousins. I have been going through the shared matches and labelling what part of the family they come from. In regards to her own DNA matches, I have found a couple of matches on my grandfather's paternal grandmother's side that I did not have. I'm still working my way through it all. More exciting times ahead. In other news, my Mum has asked if she could do a DNA test. SHE ASKED. I didn't have to ask her. I'll be getting that sorted soon. As I said, exciting times ahead. I've been in Sydney this weekend visiting my Aunt Elizabeth. This morning I asked her if she would spit in a tube for me, and she kindly agreed. Her DNA is ready to send back to Ancestry. Yay! I am really keen to see what her DNA tells me, particularly in regards to her mtDNA (mitochondrial DNA). As she is my Aunt (my Dad's sister), and not my mother, she will have different mtDNA to me. mtDNA is passed down from mother to child (men receive it but cannot pass it on). mtDNA enables you to trace your direct maternal line, ie. your mother's mother's mother's mother's mother's mother and so forth. My mtDNA line is my mother, her mum Nancy (my Grandma), Nancy's mum Pauline etc. Aunt Elizabeth will have my Nanna's mtDNA from her female line. 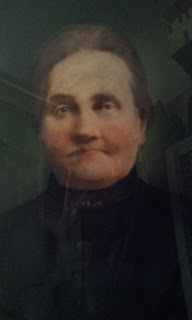 It occurred to me a few minutes ago that I am actually at a brick wall here, so I thought I would introduce you all to my Aunt Elizabeth's female ancestral line. 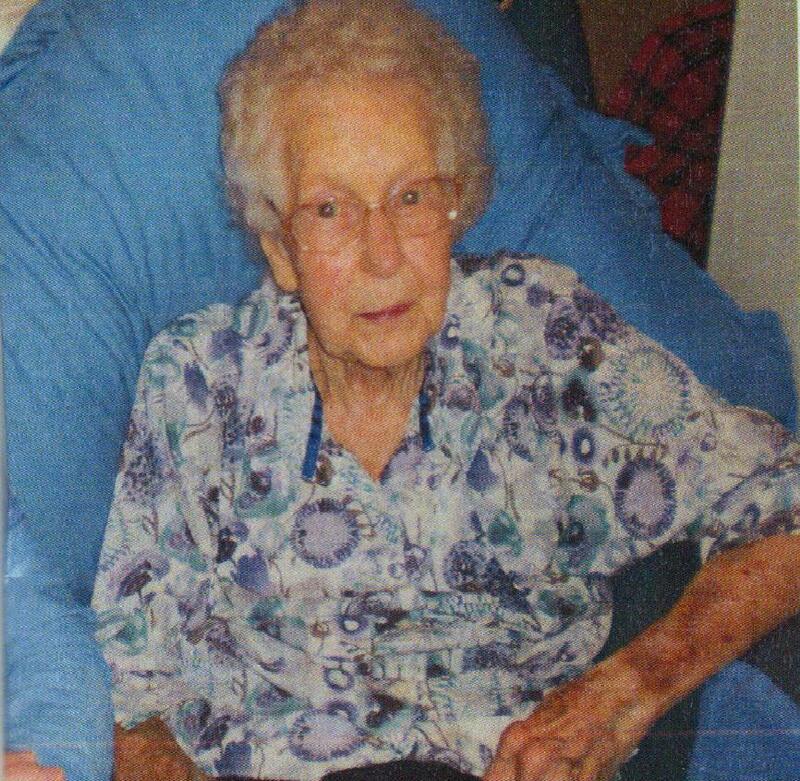 My Nanna, Eunice Hazel Dyer, 2011. 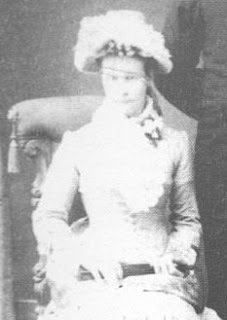 Elizabeth Graham was a convict and sent to Australia in 1833 for stealing spoons when she was 18.
Who were her parents? Where in England was her family from? I'm hoping my Aunt Elizabeth's mtDNA will give me some clues. Have you had any success with mtDNA? Share your stories below! I'm writing this from my Grandparent's living room in Midland, Texas, USA. I arrived in the USA on the 4th of February. I've been staying at a friend's house in Dallas and also went to New Orleans for the first time and experienced my first Mardi Gras. This week I'm with my Grandparents. Next week, with my Uncle - we're doing genealogy! The weekend of the 23rd-25th, I'm going to a family reunion! Yay! It's for the descendants of my 5x Great Grandparents John Gowan and Edith Faulk. On the 26th of February, I fly to Salt Lake City for my second ever RootsTech (Feb 28th - Mar 3rd)! I'm so excited! I can't wait to catch up with the friends I've made through genealogy. I've been going through the schedule and selecting the classes I might like to go to - most of them revolve around DNA and American research. If you have not got the app on your phone yet, download it! It is a must! You can see your calendar/schedule of the classes you have selected. It's so easy. 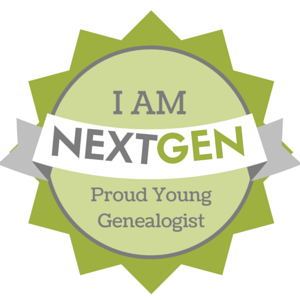 It's going to be a wonderful genealogy week! I arrive back in Sydney on the 7th of March. On the 8th of March, I have to check into a hotel in Sydney for the Australasian Conference on Genealogy and Heraldry (9th to 12th March). It will be my first Congress. When I tell people what Congress is, I say it's the Australian version of RootsTech. I'm so thankful for this quiet week with my Grandparents as from next week it's going to get busy. Genealogists do like to party! Can't wait! Going to be so much fun! My competition for a RootsTech Pass closed on Thursday, 23 November, and we have a winner! Thank you to everyone who entered the competition by sending a response to the question: If you could have been born in any other year, what would it be and why? I loved reading your answers. Congratulations Marian! You've won a 4-Day RootsTech Pass valued at $US279! If the genealogy genie could grant me this wish, I would choose to be born in 1886, the year that the Statue of Liberty was unveiled in New York harbor. 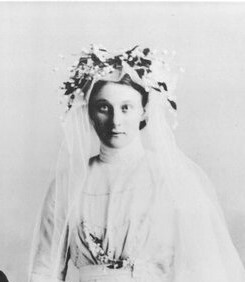 She made her official debut on Oct 28, 1886, so my wish is to have that be my birthday, too. Imagine being born in the same year, as this icon of freedom and hope was presented to the country, with a million people watching. Marian is a RootsTech first timer and is very excited to attend next year. I look forward to meeting you Marian! You will have an awesome time! How is it that we are already only 3 months anyway? 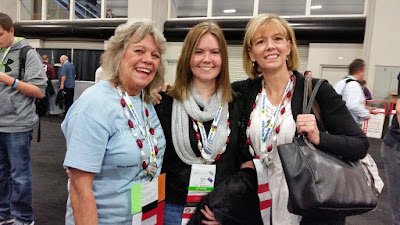 An excited group of genealogists at RootsTech 2015. 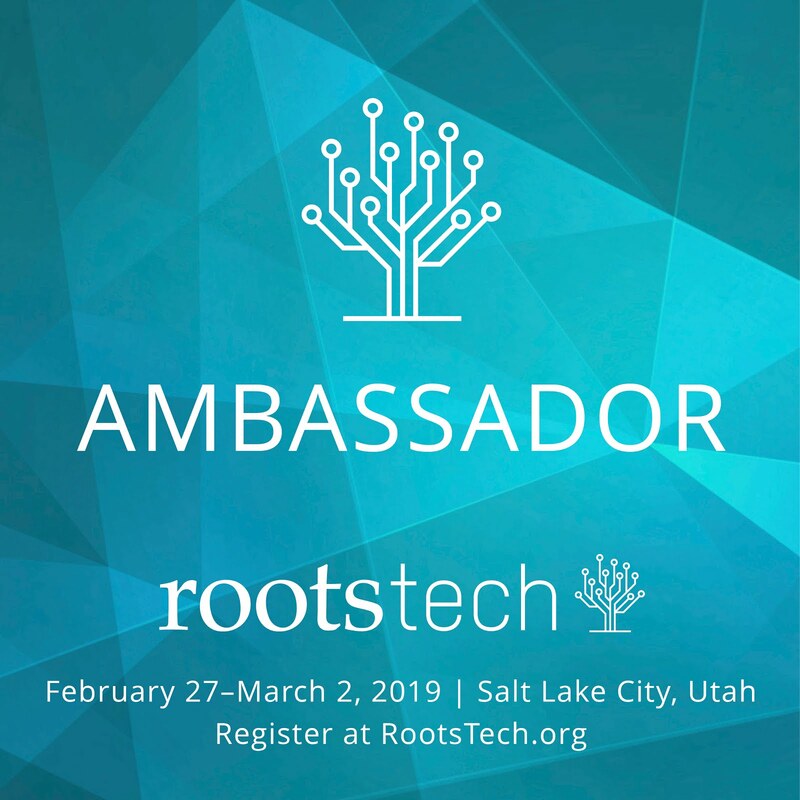 As an Ambassador for RootsTech, I have kindly been given free registration. All opinions are my own. 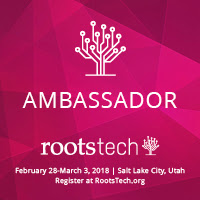 One of the perks about being an Ambassador for RootsTech 2018 is that I have a 4-Day RootsTech pass to give away! 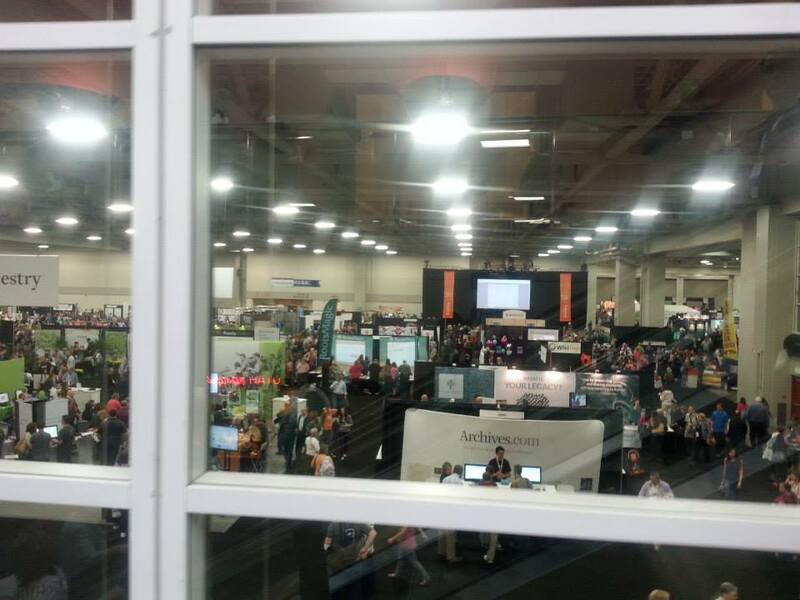 A 4-Day RootsTech Pass valued at US$279!!! You will have to fund your own travel to and from Salt Lake City, the conference, hotel, and food, but I promise you it is worth it! If you win and you have already paid for a RootsTech pass, you will be refunded. Now that all the minor details are out of the way, how do you win said RootsTech pass? If you could have been born in any other year, what would it be and why? No lengthy responses required - a couple of sentences will do. Here's my answer: 1970 - My maternal Grandmother passed away in 1980, ten years before I was born. She was the genealogy queen in our family. 1970 would give me ten wonderful years with her. E-mail me your response to genealogicallyspeaking@gmail.com by COB Thursday, 23 November. My mother will draw a name randomly from the responses and the winner will be notified via e-mail, and if applicable, social media. I can't wait to read the responses! RootsTech 2018 - I'm going! I'm heading back to Salt Lake City in February, 2018, for my second RootsTech! I am so excited! I have been given the wonderful opportunity of being an Ambassador too. Never thought that would happen. In 2018, RootsTech is being held at the end of February from 28 Feb to 3 Mar. I can't believe it will have been three years since my first RootsTech in 2015. I'm so keen to catch up with all my friends and meet new ones. The socializing at genealogy conferences is one of the best things ever. Asides from that, the speakers and classes are awesome. I will be honest. I've never heard of Scott Hamilton, but I have heard of Brandon Stanton. I have been an avid follower of Humans of New York for a few years now. I can't wait to see him live. 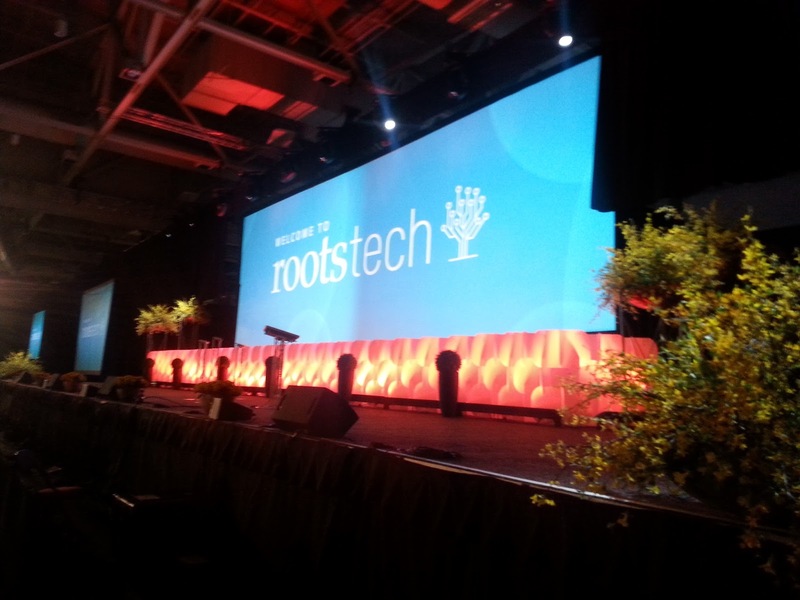 The RootsTech stage! Taken by Me, Feb 2015. RootsTech is a must attend bucket list item for any genealogist/family historian, regardless of whether you're a beginner, amateur, or professional. They have classes dedicated to beginners! How neat is that?! And then there's the Expo Hall. Oh my, the Expo Hall. All your favorite genealogy brands in the one place! It's huge and amazing. The schedule for the classes has already been released (subject to change) and I have spent this morning browsing through it. I'm just so excited! If you need any more persuading about why you should attend, have a quick read of this. The RootsTech Pass is currently available for the promotional price of US$199, but be quick, because it will go up to the full price of US$279. However, keep an eye on my blog and social media channels the next couple of days because I have a RootsTech pass to give away, valued at US$279. Stay tuned! Wednesday, August 9, was day two of Unlock The Past's Genealogy Roadshow - Researching Abroad: Finding European and British Isles Ancestors. Day two was all about researching European Ancestors with German genealogist Dirk Weissleder taking the lead. Dirk's talks focused on primary and secondary sources in Germany, researching European ancestors in general, and Archives, Libraries and Genealogical services in Germany. I have not discovered any European ancestors in my family thus far, so I have not had to do any research using European records. However, I recently started doing my best friend's family tree, and he's got a few German ancestors. I thought it would be great to listen to Dirk's talks and figure out what on earth I'm doing with European records. Even if I wasn't doing my friend's family tree, I definitely would still have gone. Regardless of whether you have ancestors from the area or not, I think it is always great to go to seminars because you never know what you might learn. I walked in having very basic knowledge of German history, and at level zilch with European genealogy. I walked out with a significantly improved understanding of both. Did you know that Germany has states? I did not! I always thought it was a country that was one big country, with no states - just hundreds of towns and suburbs. Dirk really stressed the fact that when you are researching German ancestors, or any European ancestors for that matter, you need to know what you are searching, where and when. Are you researching in the former east or former west Germany? Before 1871, there was no Germany - it was made up of different kingdoms. Currently, Germany has 16 different states. But was the town you are researching, in the same state 50 years ago? These are a few things Dirk mentioned that we should be thinking about, and can easily be applied when researching ancestors in other countries - the place of interest, most recent knowledge on an area, churches/archives in the area, what information is already accessible, local societies, experts and translators, cemeteries, and the social life in the area. There was something that Dirk mentioned which I thought was important, and that is we need to Think Geneaglobally. My good friend Helen Smith also took to the stage and talked about DNA and the benefits it has for genealogy. I did an AncestryDNA test in 2015, and I am still learning how it all works. Each time I listen to a DNA talk, it sinks in a little bit more. 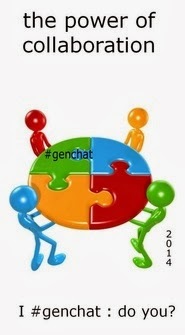 All in all it was a wonderful two days full of learning and socializing with my geneafriends. Thanks Unlock The Past for putting on an awesome Roadshow. It is hard to believe it is now over - the team deserves a sleep in! As an Ambassador for the event, Unlock The Past kindly gave me free entry. All opinions are my own.